Earn $4.50 in Rewards credit (450 points) What's This? 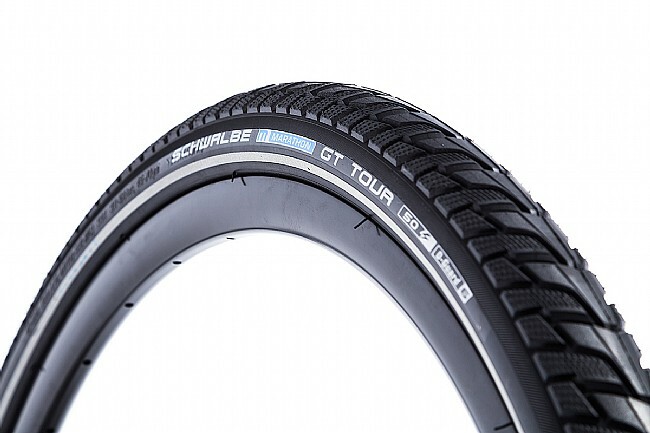 Designed to meet the needs of the most demanding cyclist, the Schwalbe Marathon GT Tour Tire features Schwalbe's new Delta profile for versatile traction. Whether you're going down rough country roads, pristine pavement, or paths that push the definition of "road", the Marathon's new Delta profile can handle it, providing agile, responsive handling that remains stable even in the worst terrain. 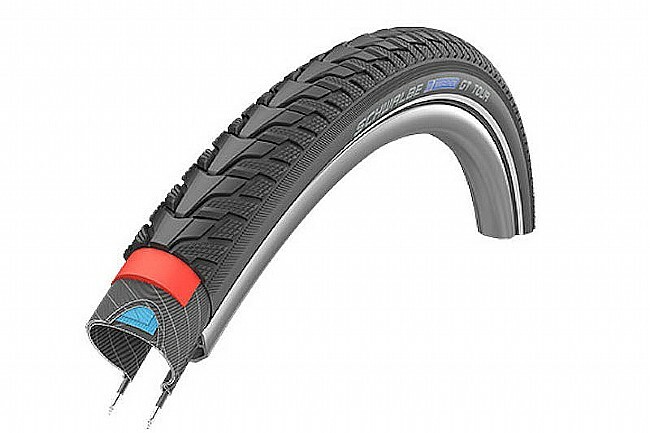 Taking puncture protection to the extreme, the Marathon GT features Schwalbe's DualGuard puncture protection technology and their Endurance rubber compound, deflecting attempts to slash or puncture the tire and ruin your ride. 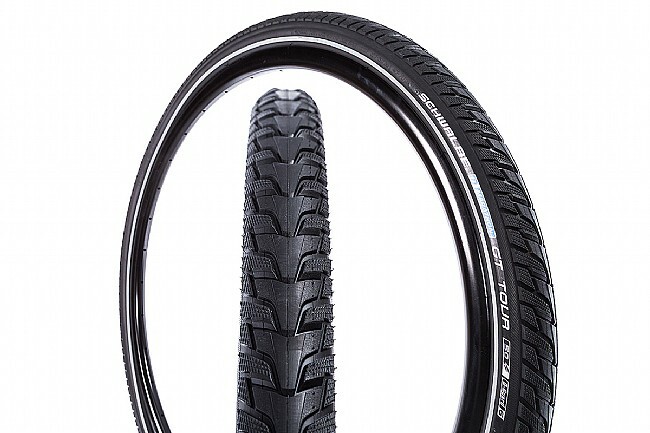 The Schwalbe Marathon GT Tour 700c is available in three widths: 35, 38, and 45mm. Also available for 26" wheels.